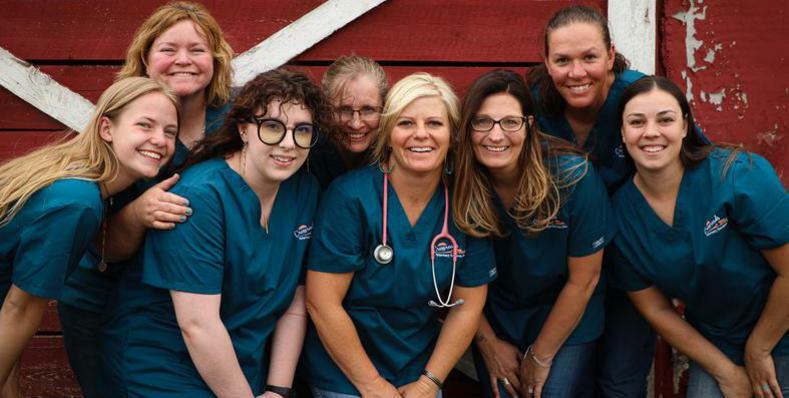 Crossroads Veterinary Services was born in November of 2010 when Dr. Kenzie Mares purchased the small clinic in Glenrock, WY. Doc is a Wyoming native and is pleased to provide service to Converse and Natrona counties and the surrounding area. She has put together the best team of people you could ask for, they love their job and they have fun doing it. We take pride in providing high-quality medicine at competitive prices. Our mixed animal practice provides care for your feline and canine friends, as well as medicine and surgery for cattle, horses, sheep, goats and pigs. Whether it's your family fur baby, a 4-H project or you have a whole herd, Dr. Mares and crew are here to help you get what you need. Feel free to peruse our website! You'll find information about the services we provide, monthly promotions, the faces of our clinic, a photo gallery of our employees doing what they love, and, last but not least, how to contact us! Enjoy, and please let us know if there is anything else you'd like to see! Thanks for stopping by! Welcome to the online home of Crossroads Veterinary Services!